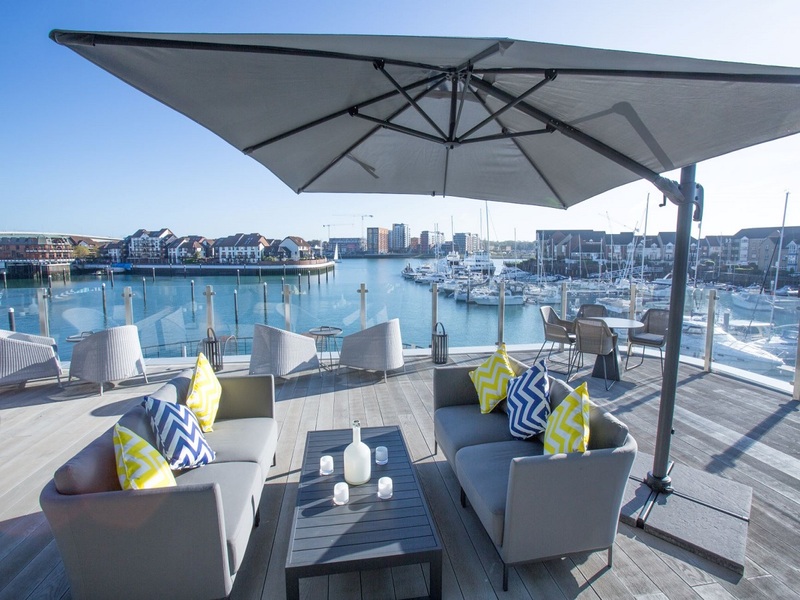 Southampton Harbour Hotel is a city lifestyle venue right on the waterfront in Ocean Village marina Southampton. 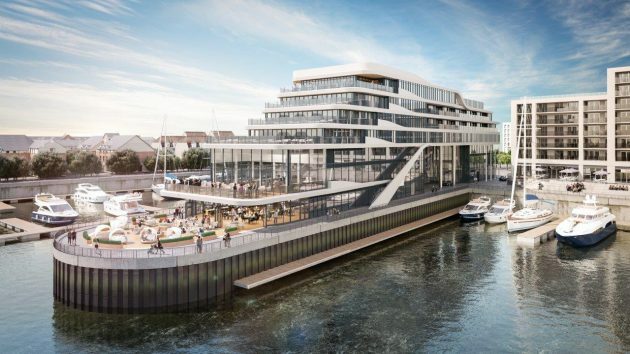 A striking super-yacht design, the hotel is lavish offering corporate meeting space and overnight accommodation to inspire and reward. 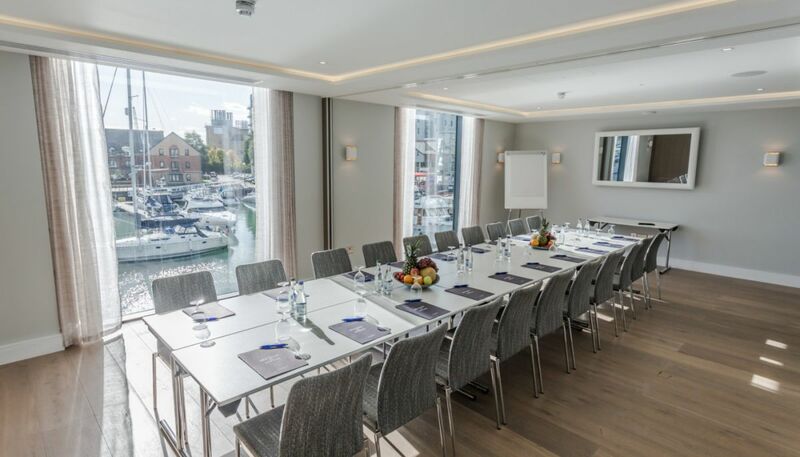 Featuring stunning contemporary interiors, along side the hotels award winning restaurant and city's coolest rooftop destination bar, the hotel offers the most stunning getaway for your corporate meeting, overnight stay or team event. 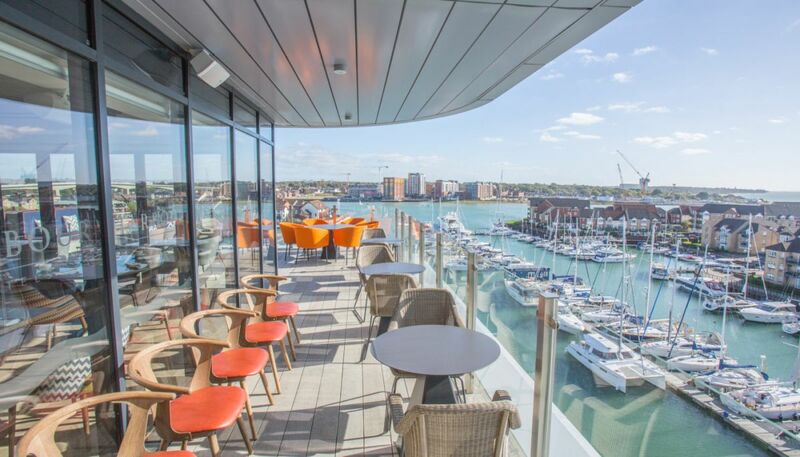 Enjoy dinner at The Jetty Restaurant, with menu's created by award-winning and acclaimed chef patron Alex Aitken with a eclectic selection of wines. 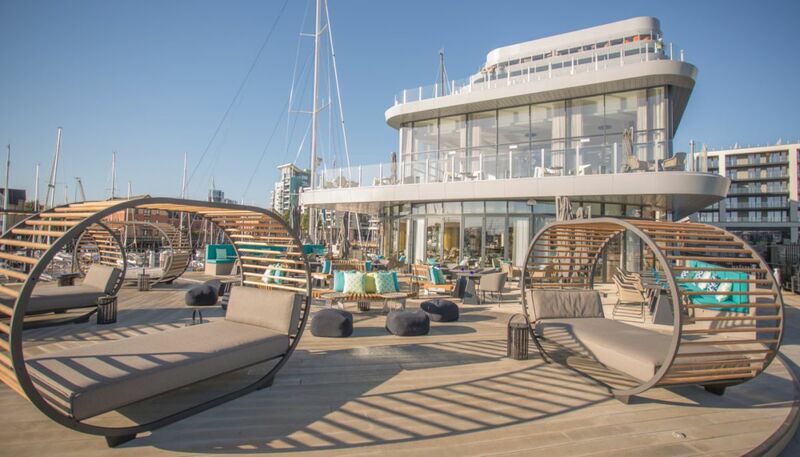 Or head to the 6th Floor to the HarBar on the 6th, a spectacular rooftop destination bar with outside seating, fire pits and a wood fired pizza oven. Great for those sunshine cocktails perhaps after a day of sailing or yacht racing. Relaxed dining taking in the spectacular sunset views will end the perfect day. Seriously Cool Events are a leading corporate event and team building company. For bespoke packages please contact the Seriously Cool Events team.